Isn’t leadership a question of courage, strength, will? Santiago Álvarez de Mon is on the list of the ten most prestigious thinkers in the area of management according to the Manager Business Forum. Professor at IESE, he is an expert on leadership and organizational behavior, author of educational books and academic manuals, case researcher and author of countless articles for the press. He gives classes and lectures on organizations in Latin America, Europe and Asia. As a speaker, he refuses to stay on the surface of issues, and always attempts to provoke an in-depth reflection on fundamental aspects of organizational structure like employees, co-operative labor relations, leadership, personal initiative and communication in high performance teams. Overcoming adversity and conflict management are another two areas of Santiago Álvarez de Mon’s expertise. His broad knowledge of organizational culture has made him a sought-after consultant and advisor to companies in the area of senior management. He has also held executive posts in Bank of America and the French group Promodés. Álvarez de Mon got a PhD in Sociology and Political Sciences from the Pontifical University of Salamanca after getting a Degree in Law from the Complutense University of Madrid. He completed his studies with a Master in Economics and Business Administration from IESE. His main activity is teaching. He is a lecturer in the Department of People Management in Organizations of the IESE and gives classes on the MBA course. He is the author of several analysis cases, including the cases of Rafa Nadal and a study of people taking early retirement. He is also a guest lecturer at prestigious business centers in China, Mexico, Colombia, Peru, Uruguay and Nigeria. He has a weekly column in Expansión and works as an article writer in the economic press, academic journals and specialist publications. El experto en liderazgo y comportamiento organizacional, imparte una conferencia sobre el análisis del entorno en el que las personas y las empresas se mueven. 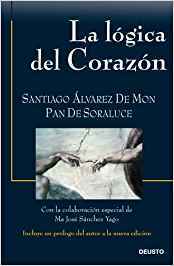 Santiago Álvarez de Mon reflexiona sobre el procedimiento del conocimiento en el ser humano y su relación con lo que nos rodea. Álvarez de Mon presenta su nuevo libro: Con ganas, ganas. Del esfuerzo a la plenitud. En él reflexiona sobre asuntos como la confianza y el valor. Álvarez de Mon presenta su nuevo libro: Con ganas, ganas. Del esfuerzo a la plenitud en el que reflexiona sobre asuntos como la confianza y el valor: “A veces no saltamos más alto porque ni nosotros mismos creemos en nuestras inmensas posibilidades”.